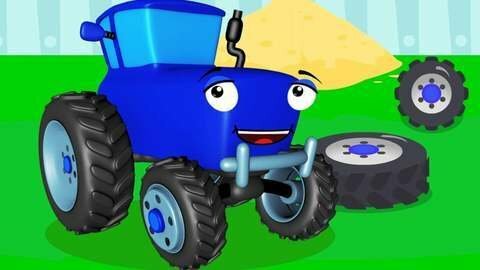 The poor blue Tractor loses all of its wheels because the bad Monster Truck threw a dynamite on it in this car cartoon for kids. The tractor had to go to the auto shop and it cleverly used trash bins as wheels. Luckily, the helpful crane saw it and decided to pull it to the auto shop to be repaired. More car cartoon shows are available for you to enjoy at SeeZisKids.com.